The city of San Diego was honored with a first-of-its-kind national certification for using data to drive effective results for residents Thursday. Bloomberg Philanthropies’ What Works Cities Initiative recognized the city for its use of innovative public outreach tools including resident satisfaction surveys, the “Get It Done” mobile app and a progressive open data policy. The award, which encourages cities across the country to emulate awardees in their approach to using data and evidence to enhance government effectiveness, will be presented to Mayor Kevin L. Faulconer Thursday during the U.S. Conference of Mayors in Washington, D.C.
San Diego was among 117 cities nationwide with populations of 30,000 or more to compete for certification. 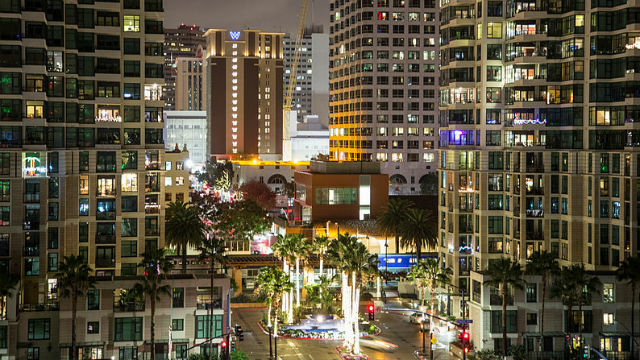 San Diego was one of only nine cities to be awarded this honor for excellence in data-driven governance. The city has embraced the use of data to inform decision-making across multiple departments and programs. Currently, the city conducts biennial resident satisfaction surveys to better understand strong customer services and identify areas for improvement. While respondents to the most recent survey held a mostly positive perception of the city, giving high marks as a place to live and work, they also expressed less satisfaction about city streets and infrastructure. In recognition of these concerns, Mayor Faulconer set a goal of repairing 1,000 miles of streets (nearly one-third of the city’s streets) by 2020. The city is on track to meet this goal ahead of schedule, with more than 700 miles already repaired. The city also developed an online tool letting community members track up-to-date street condition and repair efforts (http://streets.sandiego.gov). The city’s “Get It Done” app is another data-based innovation to facilitate effective resource allocation. With more than 34,000 downloads on the Apple and Android app stores to date, “Get It Done” lets the public report issues and send accompanying photos directly to the city. Since the launch of “Get It Done,” the city has used the app to address complaints and provide responses once the work has been completed. For example, in an effort to address graffiti, city workers utilize Smart tablets to locate the complaint and upload a work summary with an “after” photo. As a result, customer satisfaction scores for graffiti have increased by nearly 40 percent. This year, the city will offer additional services on “Get It Done” by expanding functionality across 10 city departments. The city of San Diego is also pioneering automation in the use of open data to increase transparency and efficiency for its customers. San Diego’s Open Data Policy mandates that all high value public datasets in the city’s inventory be released by 2020. Forty-four datasets were released with the launch of the Open Data Portal (https://data.sandiego.gov) in 2016, and 30 more datasets were added in 2017 when city staff recoded the portal to maximize speed and efficiency. Today, the city’s online open data inventory holds 155 datasets, letting customers and city staff to avoid otherwise cumbersome searches by locating the city information they need within minutes.